The Kansas State University Sales Cat team had a successful fall 2015 season, entering four national sales competitions around the country and bringing home several awards and prizes. The Sales Cat team is made up of students in the College of Business Administration’s National Strategic Selling Institute, which has been named one of the top sales programs in the country for four straight years by the Sales Education Foundation. The team is coached by David Lehman, marketing instructor, and Dawn Deeter, director of the National Strategic Selling Institute. Sales competitions allow students to test their selling skills against their peers from other top sales schools through role-playing scenarios, including cold calling, case competitions and speed selling. In October, four team members traveled to the Great Northwoods Sales Warm-Up at the University of Wisconsin, Eau Claire. Dan Burger, junior in entrepreneurship, Minnetonka, Minnesota, was the highest-placing Sales Cat, finishing 12th out of 66 students with a $150 award. The rest of the team included Ashleigh Bunker, senior in marketing, Ellis; Racya Doyle, sophomore in business, Manhattan; and Lars Hanson, senior in marketing, Olathe. 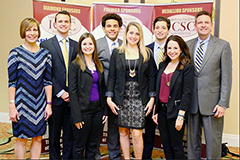 Next up was the International Collegiate Sales Competition, hosted by Florida State University, where the team placed fifth overall out of 60 universities. Mike Schonwetter, senior in management, Overland Park, and Nick Ramsey, junior in finance, Hutchinson, placed third in the sales management case competition. In the role play competition, Helen Dinkel, senior in marketing, Leawood, placed fifth out of 117 students, while Armani Williams, senior in marketing, Lenexa, advanced to the quarterfinal round. Kasey Kowalski, junior in marketing, Overland Park, and Ashley Ebeck, junior in finance, Paola, rounded out the team in Orlando. The Northeast Intercollegiate Sales Competition at Bryant University saw the Sales Cats receive the Rookie of the Year Award, as the top school that was new to the competition in 2015. Kowalski paced the team, placing sixth out of 84 students in the competition. Three other team members — Ana Vandermark, junior in marketing, Frisco, Texas, Christopher Earnshaw, junior in entrepreneurship, Overland Park, and Ashley Ebeck — advanced to the quarterfinal round of the role play competition. 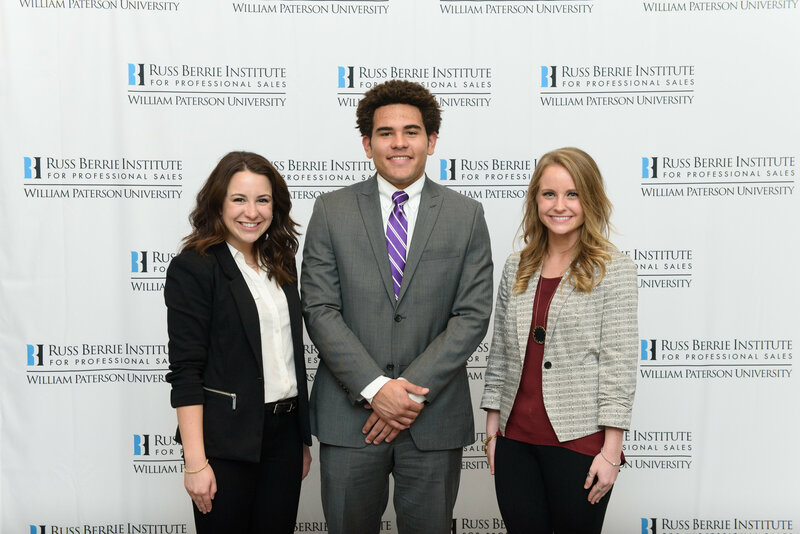 The final competition of the semester saw the Sales Cats travel to William Paterson University for the RBI National Sales Challenge, where Dinkel gave a speech as the grand prize winner of the 2014 competition. Danielle Lickteig, senior in marketing, Olathe, and Williams represented the team in both the role play competition and the speed selling elevator pitch competition. In addition to competing as part of the K-State Sales Cat Team, the students are earning a certificate in professional strategic selling from the National Strategic Selling Institute. The certificate program is open to all majors at the university, and allows students to distinguish themselves by demonstrating professionalism and competency in selling skills.